V.O.A.T. 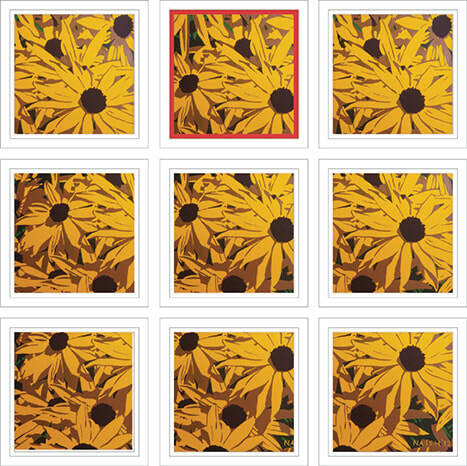 Top Middle or “Variations on a theme (top middle) if you prefer is a return to the series of Rudbeckia paintings which I began back in 2012 with “Yellow Burst”. Indeed, it is a copy of “Yellow Burst: Six Colours Remix” from the same year. 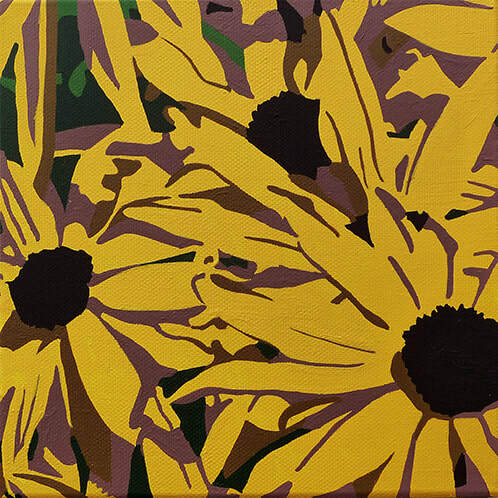 The difference is that I’ve used a 20cm x 20cm segment of the original 30cm square canvas.